The River Barrow is a unique recreational fishery, which facilitates both game and coarse angling. It is haven for both the novice and experienced angler. 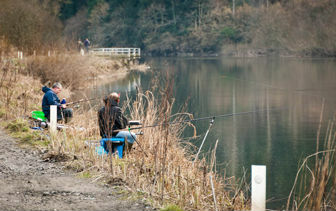 Anglers are the second biggest group of people using the waterway after walkers. The Barrow supports a vibrant mixed fishery; it is renowned for salmon, brown trout, roach, rudd, pike, perch and tench with access to all parts of the river from the Barrow way. 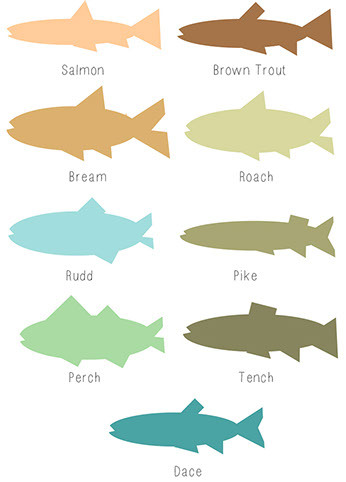 Permits required to fish for salmon and trout on the river are available from local angling clubs or tackle shops. Specimen coarse fishing is a feature of the wonderful River Barrow and every year the waterway produces more official award winning fish than any other single fishery in Ireland. The river also hosts a prestigious international annual shad fishing competition. As part of an ‘Access for All programme fishing stands for the disabled have been constructed, allowing people with a wide variety of disabilities to enjoy fishing on the river. Fishing on the River Barrow. The newly constructed fishing stands visible in the background.